Ellen Pao trial: The lawsuit brought awareness to workplace sexism, but the setbacks are gripping. Ellen Pao, pictured in San Francisco on March 10, 2015, has been positive in the outcome of the jury’s verdict, but it’s difficult to not view her court loss as a setback for workplace sexism. This post originally appeared in Inc. 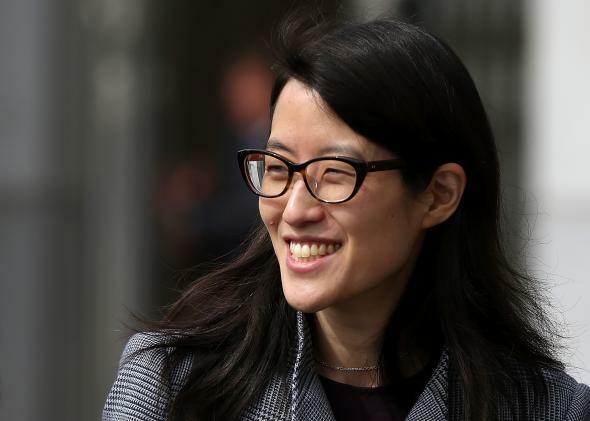 The Ellen Pao ink-blot test of Silicon Valley sexism ended Friday, and most jurors saw a clear white page. It’s hard for me to read that as any sort of victory for workplace equality. My heart sank Friday afternoon, as the news about the jury’s complete—if temporarily math-challenged—rejection of Pao’s claims flooded my Twitter feed. However imperfect a victim Pao was, whatever the shortcomings of her allegations or the merits of her case against former employer Kleiner Perkins, it’s been difficult to watch Pao take on a painfully common set of professional circumstances and not root for her. By suing her former employers for retaliation, Pao unquestionably raised awareness about the subtle but pervasive sexism most professional women regularly run up against. Pao, now the interim CEO of Reddit, was not a model victim of gender discrimination (though, as my Inc. colleague Kimberly Weisul pointed out last week, such a thing rarely exists). But the case, and its outcome, resonated far beyond her particular situation at Kleiner Perkins and even beyond the relatively rarefied venture capital and tech worlds. It’s hard not to see that as a setback, or to think that so much effort sacrificed for this sort of verdict is going to make it all the more difficult for the next Ellen Pao—or Tinder co-founder Whitney Wolfe or former Facebook employee Chia Hong or whomever—to successfully pass through the gantlets of money and power in tech. It’s a sinking feeling reinforced by Claire Cain Miller’s New York Times interviews about the verdict with venture capitalists. When asked what they learned from the whole experience, they told Miller the case had taught them to:be less overtly sexist in work emails; formalize human resources standards; and be less hasty about declining to fund female entrepreneurs so quickly. Big progress, right? I mean, those are all good things, but shouldn’t they pretty much be table stakes at this point? When you have to remind yourself to not write down your sexist comments in work emails, you know your industry has a long way to go. VC investors also told Miller that the trial could provoke a backlash, by making women less interested in becoming venture capitalists—or by making men more reluctant to hire them. Yes, apparently one of Ellen Pao’s lessons to some observers is: don’t let the girls into the boys clubs because they’re going to be buzzkills once they get there. Maybe this is focusing too much on the negative. Since the verdict came back, there’s understandably and perhaps constructively been a lot of emphasis on the silver lining, starting with Pao herself. I really hope so. And I agree that Pao at the very least made that conversation harder to ignore. But I also fear that the jury’s verdict will make it all the more difficult for the next Ellen Pao to mount her case—or raise her voice at work, or make the case to give funding to more than a handful of female CEOs—and ultimately to make the next desperately needed inroads in most professional boys clubs.